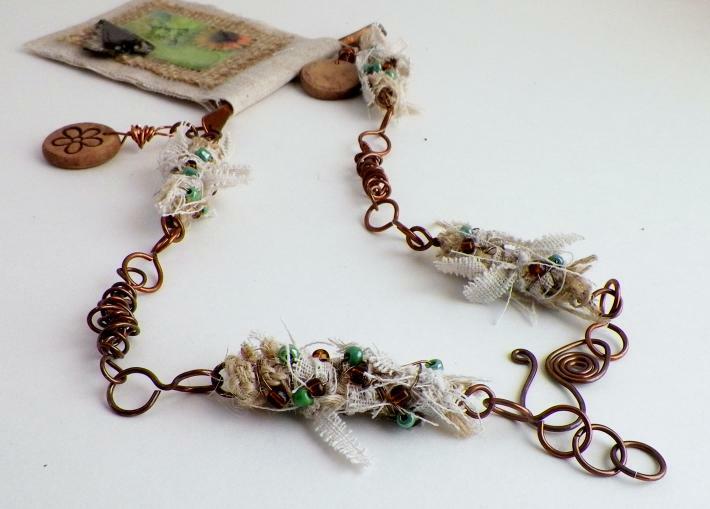 This necklace is handcrafted using copper wire, polymer clay, burlap, paper, cloth, wood and my handmade rag beads. 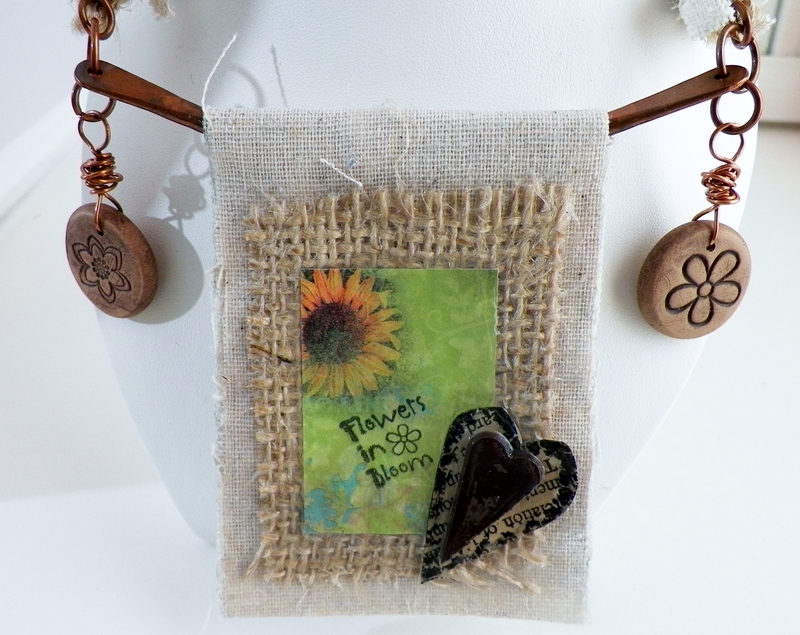 The pendant is made with cloth, burlap, paper and a wooden heart. 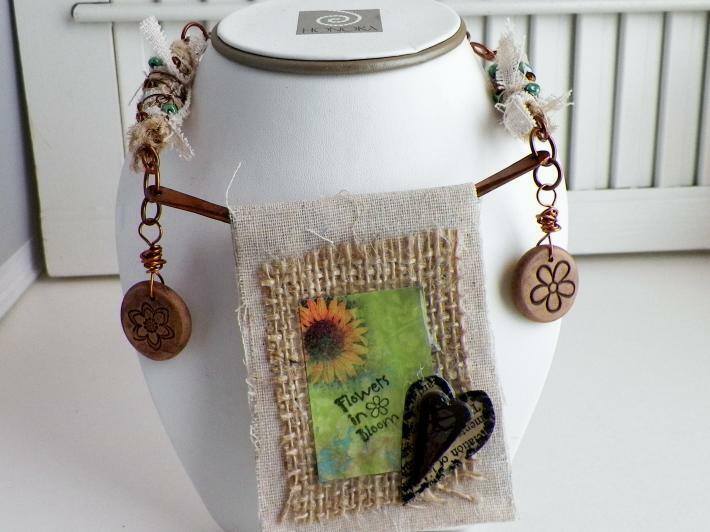 The cloth, burlap and paper were all connected with several layers of Mod Podge then the wood heart was attached and another layer of Mod Podge, then a layer of Dimensional magic was applied. This connects to an 8gauge copper wire. 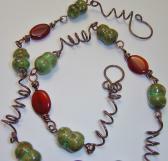 The ends have been hammered, then the wire was formed to a curve. Handcrafted polymer clay flat beads with flowers stamped into the clay hang on each end of the wire. 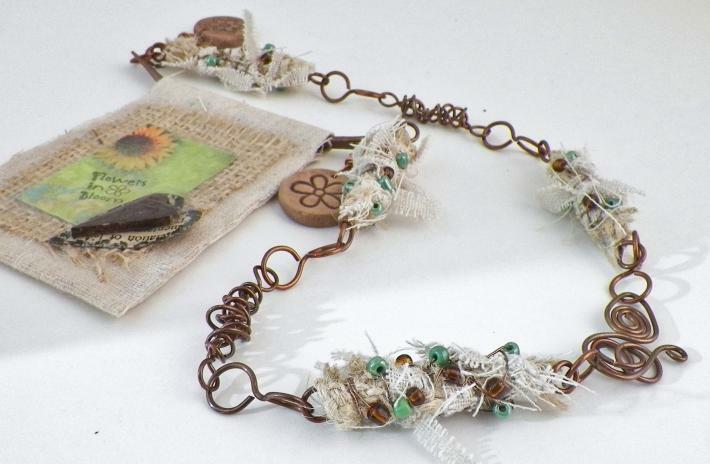 The chain is made from handcrafted copper wire links and rag beads with wire links. 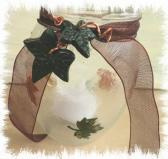 Closes with a handformed hook. Flowers in bloom is stamped on the front of the pendant.